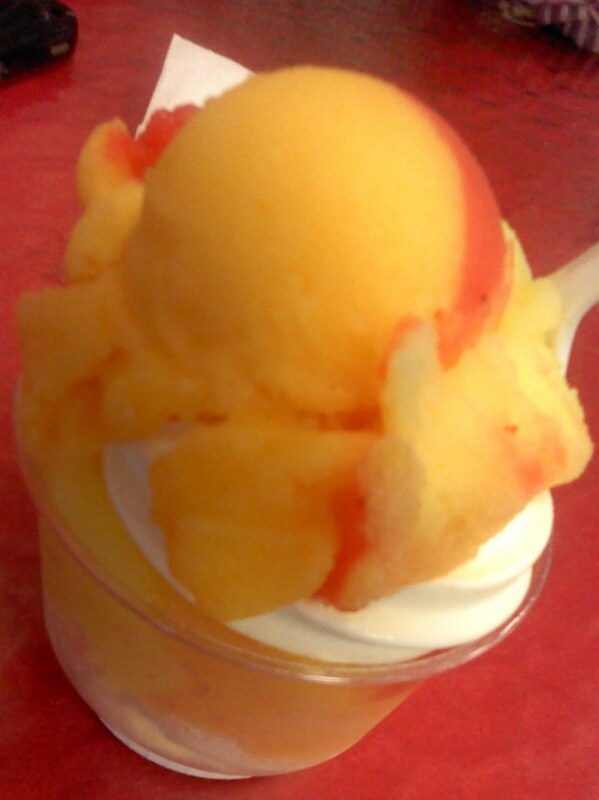 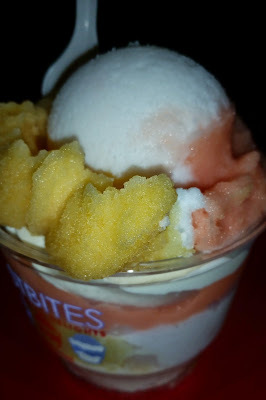 While Frostbites has various desserts available, my friends and I usually come and order their sorbet cream (Italian ice with frozen custard). Below you'll find a record of most, if not all, my trips to Frostbites. 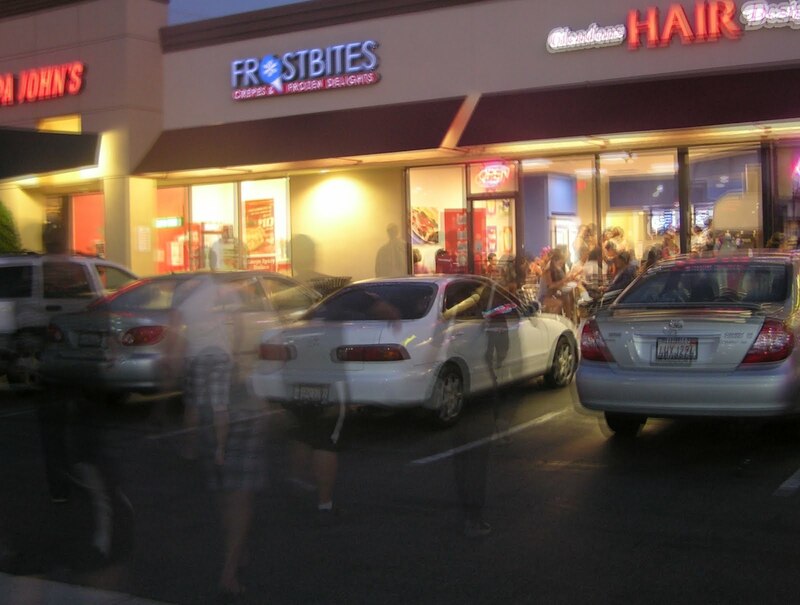 The first time I've ever been to Frostbites. 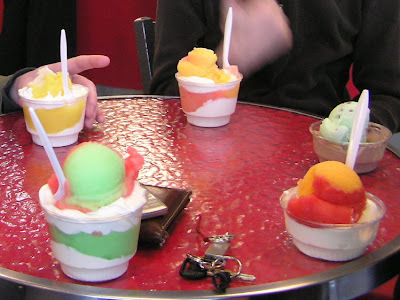 I don't think I got anything from Frostbites on this day, but we had just gone to Curry House and I was more than happy to accompany my friends while they get dessert. 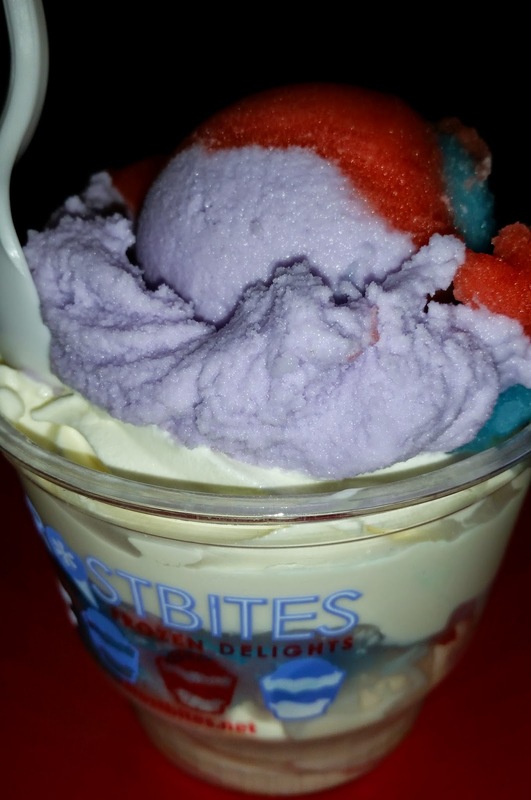 Sour gummy worms! Strawberry / Blue Raspberry / Passion Fruit / Green Apple. Today I started by sampling the mint chip. 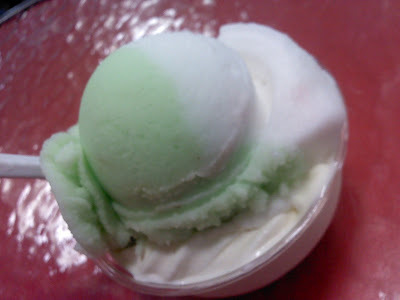 Then I impulsively decided to order coconut and mint chip. 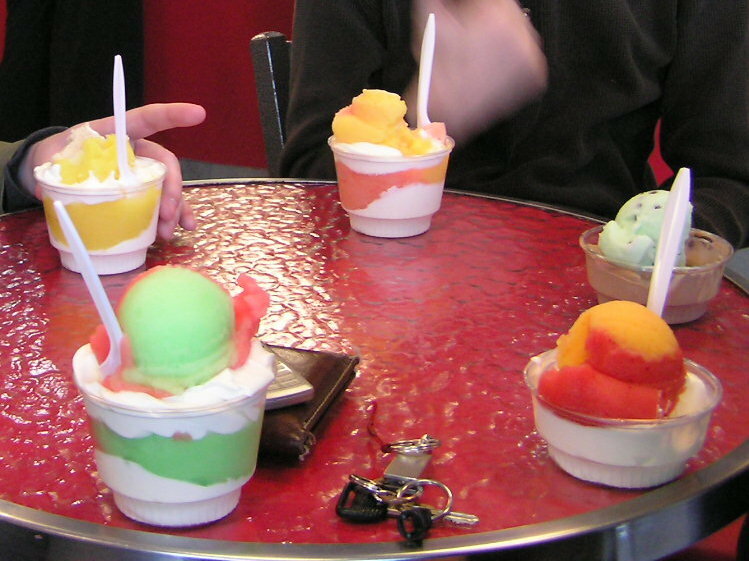 As time goes by, many popular dessert options open new stores closer to home (e.g., 85 degrees, 7 Leaves Cafe, and Frostbites).